LAWRENCE - A jubilant Mayor William Lantigua celebrated yesterday as an effort to force him from office failed by more than 800 voter signatures, handing him a victory as he faces federal and state investigations into his administration. Lantigua, who made history in January 2010 by becoming the first Latino mayor in the state, has said he has done nothing wrong and was targeted for confronting problems he inherited from a past administration, such as a multimillion-dollar budget deficit that required state intervention. Yesterday, he smiled broadly after the city’s Board of Registrars confirmed that the recall organizers had handed in only 4,366 valid signatures of the 5,232 required to compel a recall election, falling short by 866. Recall organizers vowed to appeal, saying they had already discovered several signatures that had been improperly rejected, including that of a city councilor and other voters who signed with an X because they could not write. Organizers planned to review the lists with lawyers today and go “house by house’’ to find any names that should not have been rejected. “We haven’t lost hope yet,’’ he said. On Monday, recall organizers handed in 5,483 signatures, and city officials spent the past several days trying to verify signers’ names, addresses, and that they were registered to vote in Lawrence. They rejected those that did not meet those criteria. Recall organizers mobilized months ago citing concerns about rising crime, struggling schools, and a lack of leadership in the former mill city of more than 70,000 people, which is mostly Latino and has the highest unemployment rate in the state. 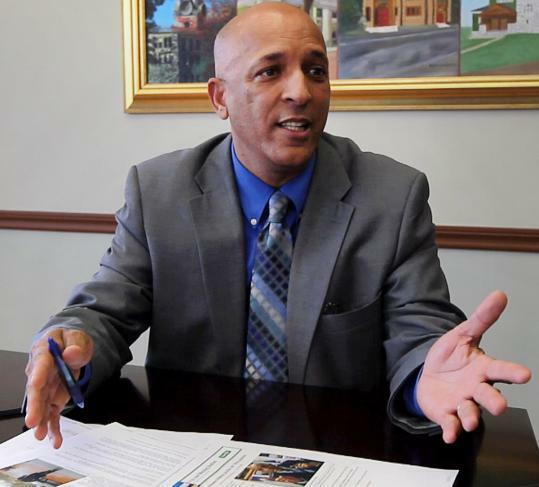 Lantigua has been dogged by controversy almost since the day he took office, first for initially refusing to give up his state representative’s seat while serving as mayor and drawing two government paychecks as a financial crisis consumed the city. He also drew fire for slashing the police force despite rising crime and for writing letters of recommendation for accused criminals. Now, he is under state investigation of possible campaign finance violations and federal investigation of possible corruption. But Lantigua beamed yesterday as dozens of adoring people crammed in around him in front of City Hall for a chance to shake his hand or give him a congratulatory hug. The mayor told reporters he had always been confident the recall drive would fail. “Seeing how much support I have is not something that I’m surprised to see,’’ he said. Cristina Tavares, 54, of Lawrence, said she was relieved that the recall failed. “I didn’t want the city to go through this,’’ she said. Despite the celebration by Lantigua and his allies, both sides said the battle is not over. The mayor and his foes have until Tuesday to file appeals with the four-member Board of Registrars, said City Attorney Charles Boddy. The board will review the objections, schedule a hearing, and then vote on them. If the petitioners are able to get enough signatures validated through the challenge process, he said, then the recall will be placed on the ballot. If they are unsuccessful, Lantigua will remain as mayor. Wayne Hayes, one of those leading the push for a recall, said most of the rejected signatures were those of residents who had moved since registering to vote and had put down their new address on the petition, causing discrepancies. He said one signature that was rejected was that of Councilor Marc Laplante. Laplante said he was unaware that his signature was not accepted, but was puzzled because he has lived at the same address he listed on the petition for 10 years. “That’s wild,’’ he said, adding that he stood by his signature. “If it could happen to me, and people know that I’ve been living here and I’m clearly visible, think about how that would impact other individuals who are not as visible,’’ Laplante said. Lantigua also vowed to pore over the thousands of signatures, expressing deep concern over the signature-gathering process. He said he feared that some people signed under false pretenses. The required number of signatures was equal to 15 percent of voter turnout in the last election. Rodriguez, a recall organizer, said the campaign was conducted honestly. He said if the reviews ultimately come up with insufficient signatures, then organizers must wait months before mounting another campaign, according to the rules. It is unclear whether organizers would try again, he said. “If they don’t reach the sufficient number, at least we’re sending a strong message to the mayor that there are almost 5,000 people who don’t agree with his policies and politics, and there should be changes,’’ Rodriguez said. Outside City Hall, Lantigua said he was looking forward to focusing more on work, after enduring months of distraction. “I’m doing the mandate that I was elected to do, which was do the best work that I can with the little bit that I have,’’ he said. Maria Sacchetti can be reached at msacchetti@globe.com. Follow her on Twitter @mariasacchetti. Ben Wolford can be reached at bwolford@globe.com, and L. Finch can be reached at lfinch@globe.com.